This stunning bouquet is handcrafted to bring the cozy feel of the holidays into your home. 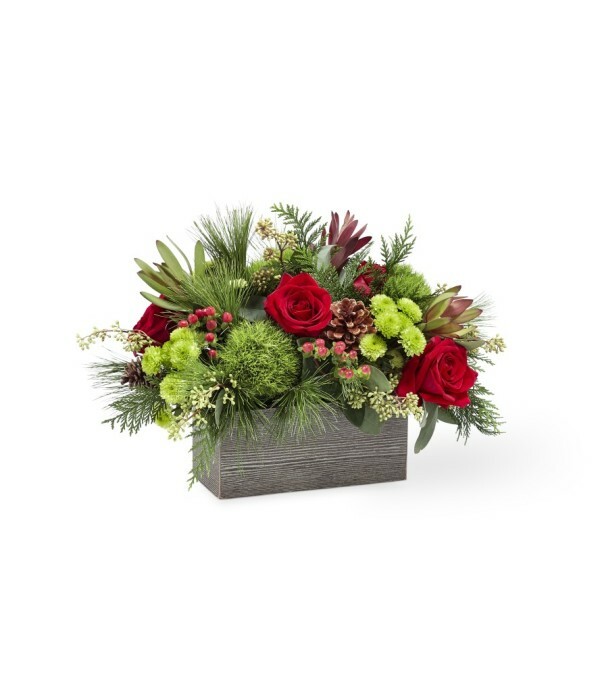 An array of red roses, green button pompons, and seeded eucalyptus is set in a weathered, wooden rectangular box and can make any morning feel like a cozy Christmas morning. 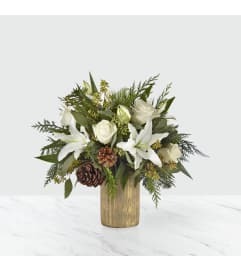 The protea, berries and pinecones add a finishing touch. Excellent service with great products! I will do it again and again or even a million times! The rose bouquet for my mother's 97th birthday was absolutely Beautiful!!! It was more than expected! Customer service online and through email was excellent! I will definitely order from here again! Thank you! !